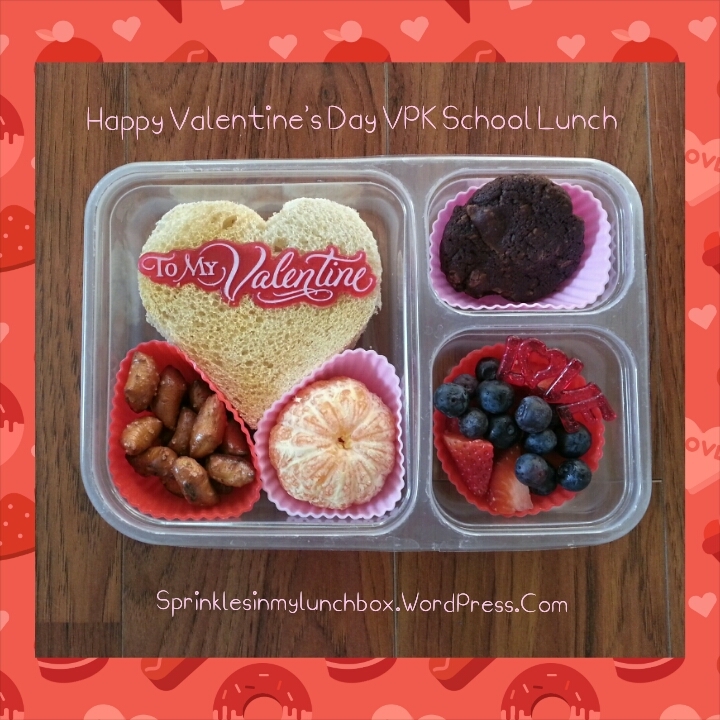 And alas, tomorrow is my Bigs’ Valentine’s Day party in school, and thus, his last Valentine’s Day lunch. I made a gold PB&J heart. I also packed whole wheat pretzel nuggets, a mandarin orange, blueberries, strawberries, and one homemade red velvet cookie. I’ll be posting some yummy dessert recipes soon, too (a few repeats), two of which are both gluten and dairy free!